Making a Good Life takes a timely look at the ideas and values that inform how people think about reproduction and assisted reproductive technologies. In an era of heightened scrutiny about parenting and reproduction, fears about environmental degradation, and the rise of the biotechnology industry, Katharine Dow delves into the reproductive ethics of those who do not have a personal stake in assisted reproductive technologies, but who are building lives inspired and influenced by environmentalism and concerns about the natural world's future.Moving away from experiences of infertility treatments tied to the clinic and laboratory, Dow instead explores reproduction and assisted reproductive technologies as topics of public concern and debate, and she examines how people living in a coastal village in rural Scotland make ethical decisions and judgments about these matters. In particular, Dow engages with people's ideas about nature and naturalness, and how these relate to views about parenting and building stable environments for future generations. 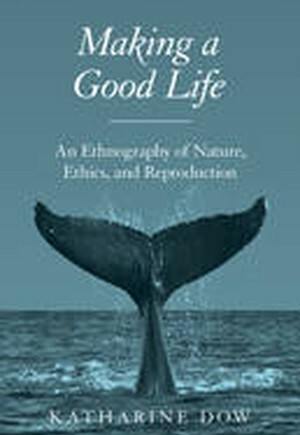 Taking into account the ways daily responsibilities and commitments are balanced with moral values, Dow suggests there is still much to uncover about reproductive ethics.Analyzing how ideas about reproduction intersect with wider ethical struggles, Making a Good Life offers a new approach to researching, thinking, and writing about nature, ethics, and reproduction.